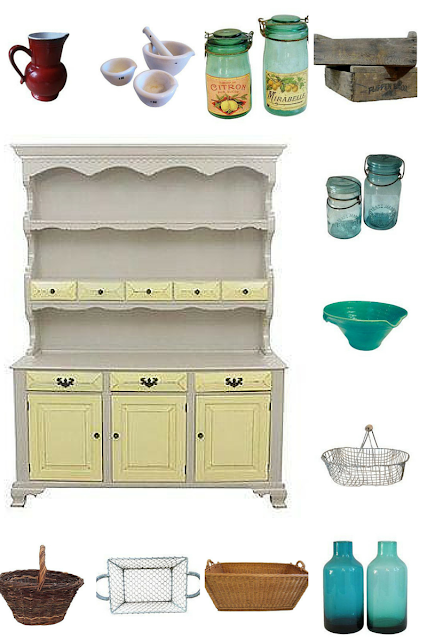 In my thoroughly modern kitchen, I have my favorite piece of furniture my pine dresser. I “inherited” from a friend of my Mum and no matter where I go I will only move to a house where it fits. It currently holds my craft supplies in the bottom and china and ornaments on the top. Around the kitchen I have various baskets, jars and bowls to corral the mess – a hand carved bowl holds the fruit, an old cookie jar holds the cooking utensils and glass jars hold our whole wheat pasta. I have all my baking tools, like cookie cutter, measuring bowls, and rolling pins in a very large wicker basket in my cupboard. It makes baking so much easier as I just take the basket out and everything I need is in it. After I am finished I put them back in the basket and put it away. I got the basket from a car boot sale. And in the pantry cupboard. I have another basket which contains all the spices and sauces we use for cooking. You can start to collect things yourself to add some vintage feeling into your kitchen. 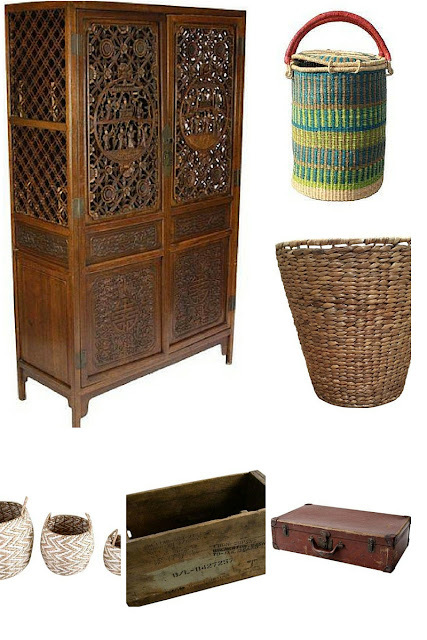 I have put together a mood board from Charish with gorgeous pieces I would love in my house. the vintage wire basket would be perfect for holding eggs. which would be so cute on the yellow and white welsh dresser. I am blessed with a walk-in wardrobe but I still use baskets and boxes amongst the modern fitted cupboards. My runners and pumps and soft ballet flats are kept in a old log basket of all things and it works !! On the windowsill, I have a bread order flagyl online canada basket which has my small evening bags in it. It sometimes has a cat ( I found her in there today). Another Vintage basket holds scarves. I use a Tall Wicker basket as Organising Storage for wrapping paper. The tall wicker basket fits perfectly beside the built in units. The little biscuit tin in the basket contains cellotape, ribbons and bows for wrapping. Don’t have a walk-in wardrobe you can still use baskets and boxes in a wardrobe or armoires; Chairish have a gorgeous collection of Armories. I have pulled together another mood board for the bedroom from Chairish. I am in love with the ceremic pots in the cover picture. They would make great jewellery storage. I hope you like my ideas for adding a little bit of the old to the new. Baskets and jars and boxes are great and I have old ones and new ones. I believe that if everything has a place or a home it makes it easier to find and easier to put away. One day I hope to move all my things into my forever home. One which has an Aga in the kitchen and a big farmhouse dining table and room for my veggie garden and chickens – a girl can dream. 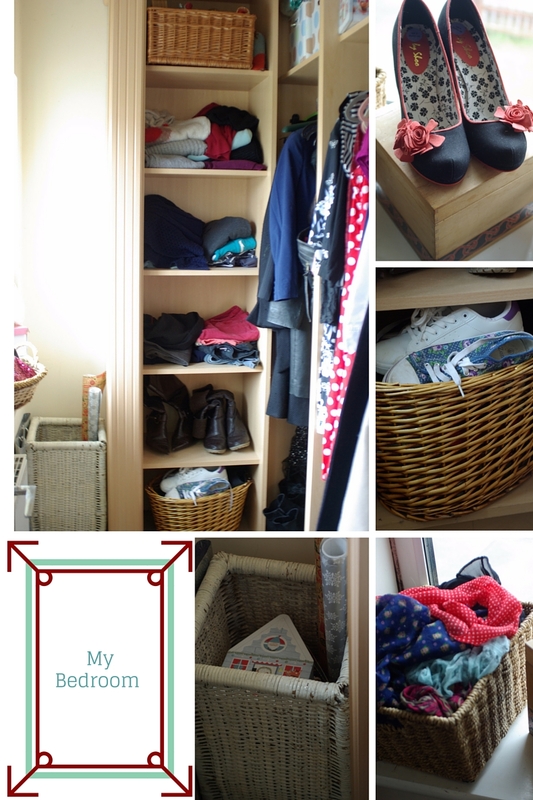 How being Organised and having a Family Journal can help if the worse happens ! If you are looking for other things on Snapshot and Snippets you can head to my Start Here page which will guide you around. Or you can sign up for my Snapshot and Snippets newsletter and get access to my latest Free Recipe Ebook. I think if I had $200 to just blow on whatever, I could easily do that with baskets for around the house lol. I love your ideas for the kitchen- I started using wooden spoons a few months ago and I'll never go back! I've also been working on transferring bulk items to glass jars, it feels (and looks) a lot better. Thanks for sharing your ideas love!